About - Kuhdoo Soap Co.
Hi! We’re the Mangums. Jared, Kaysha, and Isaac. Making soap is a fun family affair for us, just on a whole different scale these days. As we began making soap in 2012, we had an overwhelming response to our natural, handcrafted product. Before we knew it, we were selling soap faster than we could make it! As life threw us the curveballs of a new baby on the way and a layoff from “Corporate America,” we decided to really make a go of it selling soap. Kuhdoo Soap Co., pronounced Kuh-doo, comes from the spirit of a “we can do (doo) it” attitude. These days we eat, breathe, and live soap. Yes, Isaac has actually eaten the soap. Finally at almost two he knows it smells better than it tastes! Our family business is a true Mom and Pop as we work on our property in the Kuhdoo Micro-Factory side by side crafting quality, small batch, one of a kind products for you! We are very grateful to get to share our joy and our soap with our customers through Kuhdoo. Because we love what we do, every bar we make is full of love and gratitude. We hope you enjoy your soap as much as we’ve enjoyed making it for you! The most important ingredients in Kuhdoo soap are love and gratitude. Cheesy? Maybe. Seriously? Yes! All Kuhdoo soaps are crafted with love, gratitude, and ingredients you can pronounce! We use plant based oils like coconut, olive, avocado, sunflower, and hemp and then craft each bar uniquely with different additives ranging from lavender buds to hand grated frankincense tears. The oils are then saponified and maintain all of their wonderful natural skin benefits! We believe what we put out is what we get back. Therefore, our intention is to create a great product and share it with the world at a reasonable price. Our products are produced with your well being in mind, not profits. Everything you see is handcrafted by us. This way, we can be absolutely sure that our products are of the finest quality. You’ll never see an identical bar come out of Kuhdoo’s micro-factory. We hope you will join us in celebrating quality and evidence of a handcrafted product! We have loved every sip of partnering with some of Texas’ best breweries to create this amazing and truly delicious line of Texas beer soap! Did you know that people have been bathing in beer for ages? It’s true! Even the great Jackie Kennedy used it to give her hair “more body!” The proteins, vitamins, and antioxidants found in the malt and hops are super nourishing to the skin. So, in addition to being a super fun product and a way to literally bathe in your favorite local brew, all of our beer bars are high quality, nourishing for the skin, and will leave your skin cleansed and feeling great. Just what you’ve come to expect from Kuhdoo! As we began working with local breweries, we came across The House That Beer Built, a special project of Austin’s Habitat for Humanity. It made absolute sense for us to partner with Habitat to help raise funds for this project, which celebrates the collaborative brewing environment and shared community commitment in Austin! As that project came to a close, we decided that our Brew Bars were a great avenue for us to continue to give back to the community. 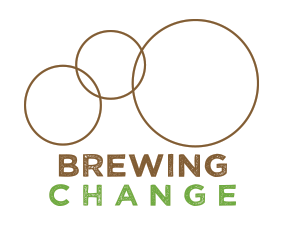 We developed our BREWING CHANGE program, and now at least 4 times per year, but often more, we give a percentage of the Brew Bar proceeds to a deserving organization that is “BREWING CHANGE” in the community. Recipients have included Habitat for Humanity, Hopefully Sow, Manor United Methodist Church, as well as other anonymous individuals creating change in the community. If buying a Kuhdoo Brew Bar wasn’t great enough, it’s even better knowing that each purchase brews change. Cheers! Prost! Salud! All of our brew bars can be found in their respective local taprooms, as well as on our website if you can’t make it out for a pint. We are very grateful to get to share our joy and our soap with our customers through Kuhdoo. Because we love what we do, every bar we make is full of love and gratitude. We hope you enjoy your soap as much as we’ve enjoyed making it for you!